“On the eve of national strikes, the French have found a new way to show their dislike of [President] Nicolas Sarkozy: by reading a 17th century tale of thwarted love that the president has said he hates. 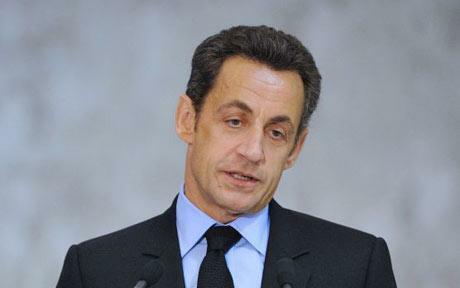 “Mr Sarkozy, a man often ridiculed in France for preferring fitness to literature, has frequently expressed his disdain for ‘La Princesse de Cleves‘ (The Princess of Cleves), a novel by Madame de La Fayette which was published in 1678 and is taught in most French classrooms. “Now, French readers have adopted the book as a symbol of dissent: as Mr Sarkozy’s popularity falls, sales of the book are rising. “At the Paris book fair this week, publishers reported selling all available copies of the novel, while badges emblazoned with the slogan ‘I am reading La Princesse de Cleves’ were a must-have item that sold out within hours. . . .